NOTES: Xamot is the twin brother of Tomax and is a Crimson Guard Commander. Xamot's left shoulder is silver and he has a scar on his left cheek. I assume that the silver pulley and black string were to be shared by the brothers. 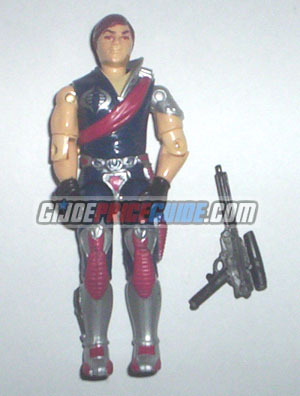 The 2002 version two of Xamot is exactly the same but made with a lower quality plastic which is most easily evident in the head.